On the first Sunday of every month, parents with young children (age 10 and under) get together to have a potluck lunch and programming. 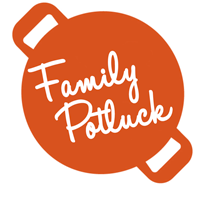 Please join us for Parent's Potluck and Kid's Corner on May 6, 2018 at about 11:30 am in the Michael Chapel after the 10am service. Feel free to come even without a dish to share! We hope that this lunch, time of fellowship and relaxed conversation will be a ministry to parents of young children at Trinity to "take a breather" from their normal routine. For the kids, we’ll provide supervised play upstairs with their own lunch and activities. We look forward to strengthening the community of families who often share space in the back of the church! To RSVP and signup to bring a dish, please click here.